It is a fact that we all want to put great design into the world, but no product ever makes it out of the building without rounds of reviews, feedback, and signoff. As an interaction or UX designer, you’ve felt the general trend toward faster development, more work, and less discussion. As we spend time crafting, we become attached to our own ideas and it gets all too easy to react to feedback emotionally or dismiss it, when we should be taking the time to decode it and explain or adapt the design. What if you work in an agency? How can you make sharing easier? How much time to budget? 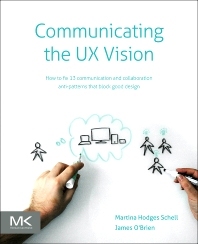 Martina is a User Experience consultant with over 15 years of experience in interactivity for web, desktop, TV and mobile devices. She specializes in user-centered design, experience strategy and qualitative design research to help Fortune 100 and start-up companies across a wide range of sectors develop new products and services, or measurably improve existing ones. Martina holds a MA in Applied Imagination from Central Saint Martins, where she conducted research into methods for multi-disciplinary collaboration to support creativity and innovation. She co-founded UX Tuesday and mentors at Method Design Lab and Seedcamp to bring UX expertise to startups. 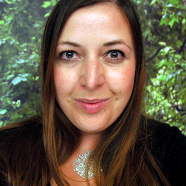 She serves on the UK UXPA committee, and regularly organizes and speaks at events. James is a UX Designer and experienced Agile practitioner. He loves to create exceptional products and can often be found complaining on Twitter about the frustrations that get in the way. In the last ten years he’s worked with agencies, enterprise codeshops and independent start-ups, always preaching the importance of designing for the user. James lives on a rusty Dutch barge moored by Tower Bridge. He doesn’t do anything in his spare time because he lives on a rusty Dutch barge, so he never gets any spare time. When he’s lucky, he sleeps. He usually smells faintly of diesel.